Water Safety Week is 3-9 December 2018, with Boating Safety Day on Wednesday 5 December. The week is an initiative of Play it Safe by the Water, formed by a number of Victorian agencies and groups following a mass drowning 20 years ago. 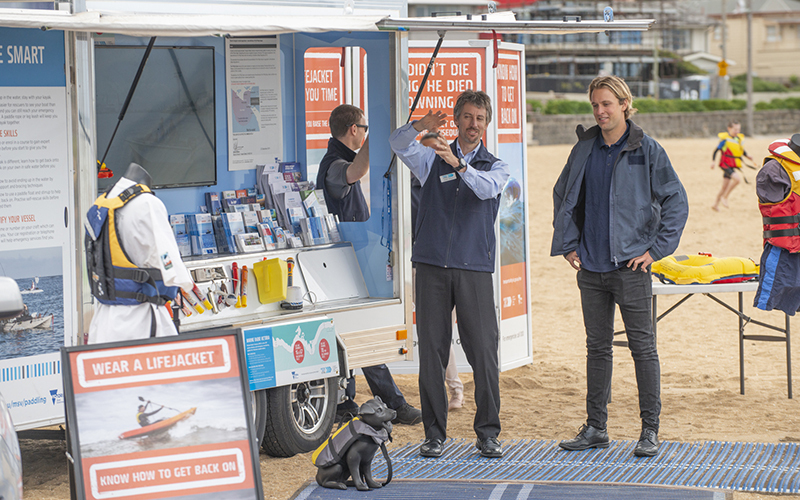 Maritime Safety Victoria is a member of Play it Safe by the Water, and our boating education team attended the launch event to share top tips for boating and paddling safety. Take a look back at 20 years of water safety awareness with the Play it Safe by the Water campaign video. Explore the water safety resources available on the Play it Safe by the Water website.